While the river, like time flows onward. GP Hockey Legend, Max Henning was nineteen: a recent high school graduate when he joined the Royal Canadian Airforce. By the end of the war he had flown thirty-eight missions as the pilot of a B-52 bomber and along with his crew played a major role in liberating France from German occupation. (Feature Stories, Max Henning: Tales of Armed and Unarmed Combat). Growing up in Grande Prairie hockey was a major pastime for Max and his buddies. Max, Billy Bessent, Bob Card and Fran Tanner were among the veterans who survived the war. Upon returning home the rebuilding of hockey to its prewar glory was an important activity to help reconstruct their lives at home. Beyond the therapeutic value of hockey for the veterans their activities contributed enormously to the community, especially the healthy development of children and youth. For many the period immediately prior to and following the war when our veterans returned home is looked upon as the “Golden Years” of hockey. The “Golden Years” are characterized by active minor hockey programs and highly competitive senior teams with leadership provided by volunteers. Following the war veterans formed the backbone of very accomplished senior teams from the town who competed in the SPHL and restored to the community a vigorous minor hockey program that eclipsed pre-war standards. For the veterans it is likely that hockey played an important role in averting or overcoming the crippling emotional condition of Post Traumatic Stress Disorder (PTSD) – unrecognized at that time. Among the young people who benefited from volunteer activities such as constructing and maintaining rinks, organizing teams, coaching and reffing games were Max’s son Cam and Stan Neufeld. Playing hockey with the Athletics Cam and Stan were defence partners and during this time Stan develop a friendship with Max. Visiting with Max in 2002 (Max was 78) he produced a vintage photograph of the legendary Red Devil Team taken prior to the war. “What can be done with this?” Max asked Stan. That question to Stan planted a seed that germinated to become the GP Legends of Hockey Project. The Royal Bank Cup Junior Hockey Tournament determines the best junior hockey team in Canada. The GP Storm was host team for the tournament in 2004. GP Hockey Legend Grant Menzies served as Chairperson of the event. The Royal Bank Cup Legacy fund dedicated $20,000 for a project aimed at capturing and recording the city’s hockey history and recognize individuals who provided leadership as builders, coaches, referees, media specialists and players. John Lehners was the Special Events Co-chair and Don Moon, at the time Business Mgr. for the GP Storm approached Stan Neufeld to organize and provide leadership for the project. It was the perfect opportunity to implement a response to Max’s question, "What can be done with this?" Early in December of 2003 with the tournament approaching, Stan convened an ad hoc group of hockey enthusiasts to select the first group of legends to be inducted during the tournament. The group consisted of Darren Foley, Bill Bessent Sr., Roy Borstad, Deb Crough, Max Henning, Jim Patterson and Ken Head. Stan spearheaded a first ever Legends display for the event. Later a permanent structure for hockey memorabilia was built and can be seen at Revolution Place. As the saying goes, “the rest is history”. Since 2003 a number of community minded individuals have served on the GP Legends of Hockey Committee. Each one of them lives and has spent the majority of their lives in Grande Prairie. They have in the past and continue to make significant contributions to the community they call home but not just in hockey. They view hockey as more than a sport and recreational endeavour and all have intimate connections to the game. As a group and as individuals they understand hockey and are conscious of the role that our national sport plays in strengthening their community and building character at the individual level. All are or have been organizers, players, coaches, referees, and in other ways builders of the game. Bill Bessent Jr., Roy Borstad, Darren Foley, Cam Henning, John Lehners, and Marty Tingstad constitute the current committee. Each person might rightfully be considered a hockey legend but that formal distinction is denied as long as they are directly involved in the project. A rubric system designed by John Lehners that minimizes subjectivity in the process of selecting legends is now in use. Within the categories of hockey legends, builders, players, referees and media specialists, the selection committee looks for candidates who are exemplary role models: men and women who embody qualities of sportsmanship, unselfishness, praiseworthy citizenship and generosity. More valued than skill in hockey is the manner in which they approach the game and the willingness to “give back” to the community that nurtured them. Research by the Legends Project’s Historical Researcher (Stan Neufeld) has brought to light interesting and inspiring stories, humour, high drama both on and off the ice, poignant incidents, and examples of dedication and sacrifice. The Legend Biographies and other chronicles provide a window into not just hockey but also Grande Prairie’s social, cultural and economic history: the context in which the game flourished. 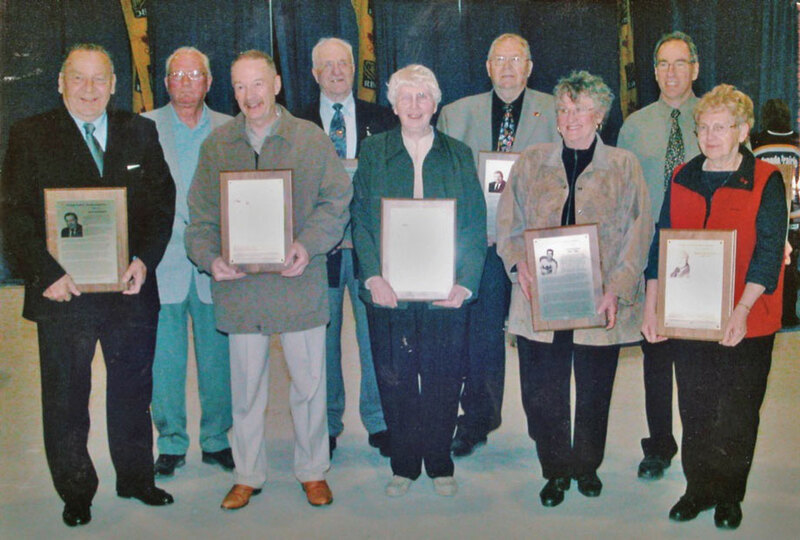 At this time (March 2017) a total of twenty-three Legends have been inducted into Grande Prairie Hockey’s Hall of Fame. Tributes to these inductees may be seen at Revolution Place (formerly Crystal Centre) and in the Legend’s Lounge. Select the LEGENDS menu at the top of this page for a feature on each of our Inductees. The major challenge associated with capturing and publicizing Grande Prairie’s hockey history is to locate and mine relevant sources of information. Looking back, three principal sources of information stand out: (1) personal experiences that are shared and stories that have been passed down through generations, (2) newspaper records, and (3) relics and photos. 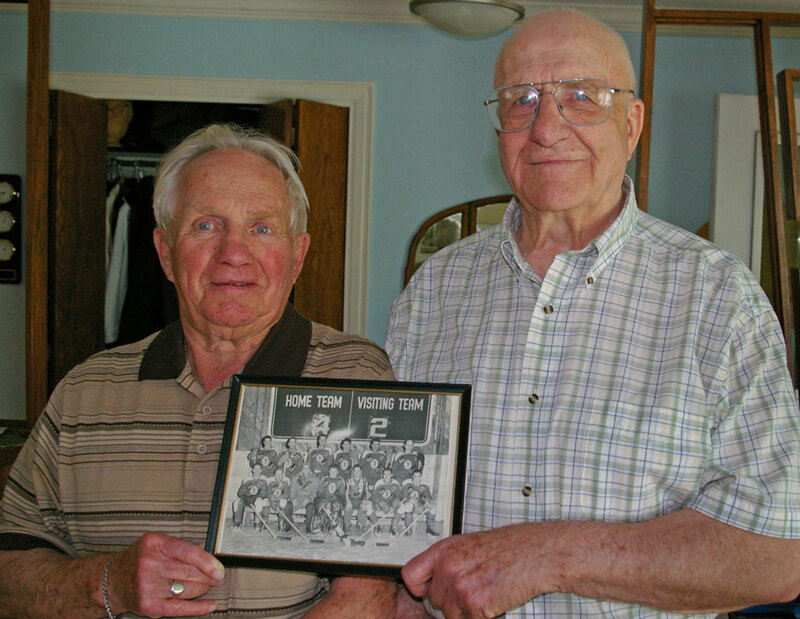 Old timers such as Max Henning and Billy Bessent provide a direct link to the past. Looking downstream in time beyond the river bend where Max and Billy have not travelled Stan looks for information and tales that provide a glimpse into the history of their predecessors. Perhaps the most valuable source of information from the past is the local newspaper, the Herald Tribune. Stan retrieves this information from microfilm at the Library. Bill Scott, retired Tribune staff member is an especially rich source of information. Also supportive are staff at the South Peace Heritage Archives: a resource that provides information regarding the social, economic and cultural context in which the game has flourished. Current events in minor, junior and senior hockey programs are especially important. A successful minor hockey program is not just a fitness activity but a teaching/learning platform in which participants experience teamwork, leadership, discipline, healthy life styles, respect for others and, regardless of one’s ability level, it contributes to the building of self-esteem. Grande Prairie’s successful minor hockey program is made possible due to support from volunteers and generous local sponsors. Lorna LeBlanc, Executive Director of the City’s Minor Hockey program recently announced record breaking participation in the 2016/17 season. There are 71 teams, 1135 players and 523 carded volunteers (coaches, assistants, trainers, managers). The most notable growth in minor hockey is female participation that has increased now including teams in the Initiation, Peewee, Bantam, and Midget levels. The Grande Peace Athletic Club (GPAC) manages 95 Elite male teams and the Peace Country Female Athletic Club (PCFAC) manages 32 Elite female teams. There is currently a five-team Tier One Division and a six-team Tier Two Division competing in female hockey from different communities throughout the Peace River Country. The Tier One Panthers from Grande Prairie have won eight consecutive Provincial titles. Minor hockey leagues utilize rinks at the Coca-Cola Centre, Revolution Place, both of the County Sportsplex arenas, and the Dave Barr, Clairmont and Grovedale Arenas. The Grande Prairie Junior Storm is a local a Junior A franchise that has competed in the Alberta Junior Hockey League (AJHL) since 1996, regularly made the playoffs until 2004 and won the AJHL championship in 2004 during the year they hosted the Royal Bank Tournament. The GP Storm franchise owes its existence to Grande Prairie's dedication to hockey: its past and current comprehensive hockey programs and strong support from local fans. The team recruits widely and alumni of the team include a number of local young men from Grande Prairie. The Chiefs and the North Stars were Junior teams that preceded the Storm. Senior hockey is a central feature in Grande Prairie’s hockey history. 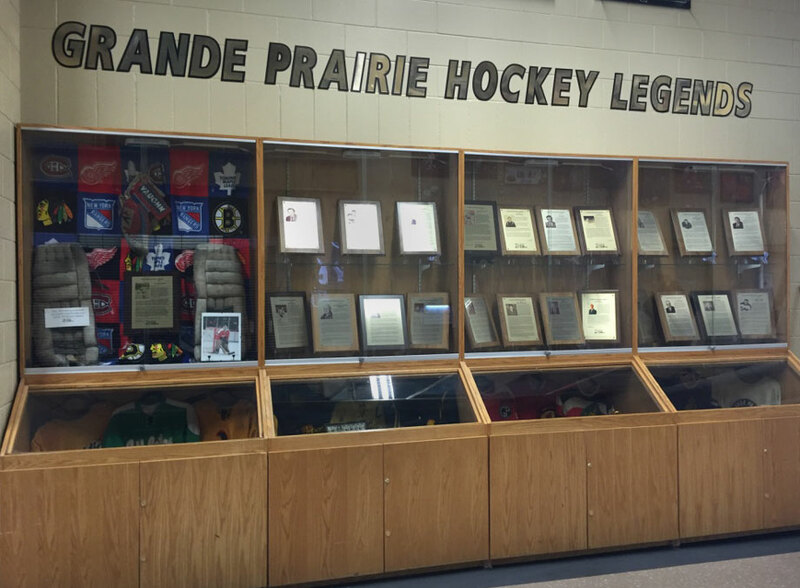 The Grande Prairie Athletics is the city’s senior hockey team for whom many Legends have played in the past. Prior to the As the Red Devils with their distinctive logo, colourful sweaters and equally colourful history was the town’s senior team. During the “Golden Years” hockey was the only game in town on a Saturday night during winter. The players were local heroes, and role models. Along with the entertainment value that hockey provided for the community there were also social, cultural and economic benefits. Playing in the SPHL the team was a rallying point for community spirit and an important element in the community’s identity. A number of local players have graduated from Grande Prairie to play professional hockey in the NHL, other professional teams in North America and professional hockey in Europe. Grande Prairie teams were instrumental in providing early leadership that evolved into the SPHL. Over the years players in senior teams have formed the backbone of volunteer support for minor hockey making sure there were rinks where kids could play and provided coaches, referees and other support as needed. The A’s were revived in 2016 following a one year absence from the league. They play a sophisticated and entertaining caliber of hockey that is worth watching and can be seen from the comfort of the Legends Lounge. Revolution Place, formerly the Crystal Centre, is home ice to the Junior Storm. In the foyer of Revolution Place a large display case may be viewed that features plaques of the current twenty-three GP Hockey Legends. The Coca-Cola Centre is home to a wide range of recreational services including a vigorous minor hockey program and the Grande Prairie Athletics. Much of Grande Prairie’s hockey history may be traced by following the venues in which the game was played - lakes and ponds in the early 20th century, the Wapiti Arena - the first covered ice surface in the Peace Country (1919 to mid century) and following WW11 it was the Memorial Arena that was dedicated to veterans. The warped and faded boards of the legendary Wapiti Arena where the famed Red Devils first played have been replaced by state of the art architecture and structural materials that constitute the modern glittering Coca-Cola complex and although hockey is no longer the only game in town on a Saturday night the Coca-Cola Centre is an invaluable community resource. The legends Lounge is a sky box overlooking the ice surface of the Coca-Cola Centre from which fans can watch the Athletics play, see a growing display of hockey memorabilia and photographs of Grande Prairie’s Hockey Legends . The Lounge is a local tangible presence representing the GP Legends of Hockey project. 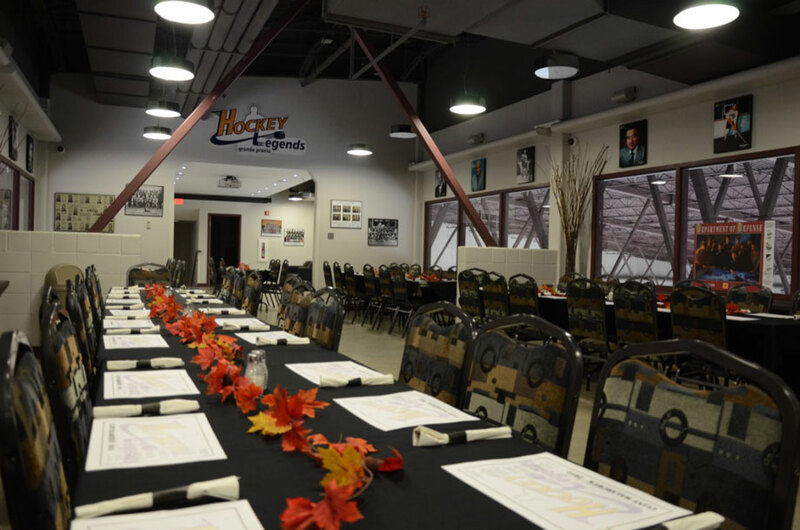 It is the location for banquets that celebrate the induction of hockey legends and the lounge may be rented for special occasions. The Lounge is a joint initiative of Kurt Robinson, current President of the Grande Prairie Athletics, and owner of Sportswear Plus, Stan Neufeld, long time Grande Prairie resident and retired physical education teacher, Grande Prairie Athletics Alumni, former coach, sports writer and chairperson of the Hockey Legends of Grande Prairie Project Committee and Kylee Haining, City Recreation and Sport Manager. With leadership from Kylee a long-term contract to sponsor a lounge was negotiated with support from the Government of Canada, the Recreational Infrastructure Canada Program and the City. In the Lounge today the same sounds resonate that were heard from stands in the Wapiti and Memorial Arenas; the clatter of sticks, the call for a pass and cheers that ring when a puck finds the back of the net. The Legends Lounge in the Coca-Cola Centre is a fitting home for the Grande Prairie Legends of Hockey Project. The committee today is very active and includes Honorary Members Billy Bessent and Max Henning. The principal function of the Committee is to nominate and select Legend candidates and in general provide oversight for the Project. It is no small accomplishment to pass muster and become a GP Hockey Legend. While the nomination process for candidates is quite subjective the actual selection is rigorous and as objective as possible. As noted above, Committee member Lehners, an engineer by profession designed a rubric system that every candidate must pass in order to become a Legend. This minimizes subjectivity in the selection process. The Committee meets to screen and select candidates, make suggestions regarding project activities, receive up-dates pertaining to the project and addresses problems and challenges that are brought to their attention. Members of the Committee are drawn from citizens of the town who are deeply committed to supporting local hockey and are well-informed bout the game. They are eyes and ears for Stan Neufeld, the Project Director. As volunteer Director of the GP Hockey Legends Project Stan assumes major leadership responsibility for the project such as calling meetings and setting agendas for the Committee and attending to day-to-day activities of the project. It is not by accident that Billy Bessent Jr. is actively involved in hockey and a member of the GP Legends of Hockey Committee. For three generations dating back to his Grandfather Bert the Bessents have actively participated in and promoted hockey. Supporting the development of Junior hockey has been Bill’s special focus in recent years. He served on the Storm Booster Club for eighteen years and is still an active Booster ready to respond when called upon. Prior to his association with the Storm he was a member on the Grande Prairie Chief’s Board of Directors a junior hockey team that played in the Rocky Mountain Junior A Hockey League in the early 1900s. For over seventy five years the Bessent name has shown up in connection with hockey in Grande Prairie. “Roy was a classmate throughout my school years and if my memory is accurate, Roy never played a great deal of hockey but he knew and loved the game. As a teenager he knew more about hockey than most adults associated with the game and was destined to make significant contributions to our hometown hockey.” (Ron Neufeld). For example, In 1963 he served on the Memorial Arena Commission, a group that was responsible for the operation of the arena. In this capacity he was a driving force behind the installation of the first artificial ice surface in the city an important remedy for uncertain ice conditions especially during playoff time in the SPHL. His involvement with senior hockey began in 1954. Since1956, Roy has worked with the Grande Prairie Athletics in such varied portfolios as Sponsor, Manager, Treasurer, and President. 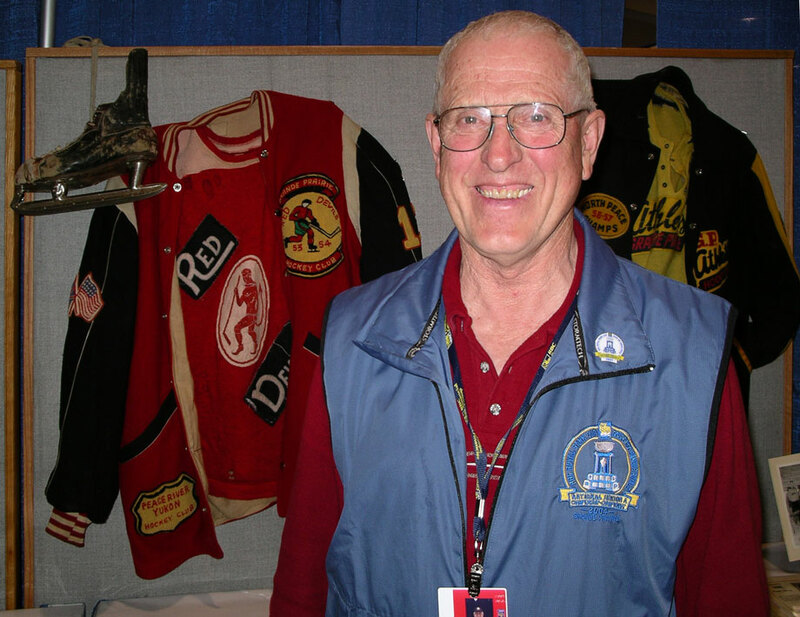 As a founding executive member of the first official GPMH program, he worked tirelessly along with other volunteers such as Legend Roy Peterson to build and maintain skating and hockey facilities for Grande Prairie kids. He is a founding member of the Legends Committee and a GP Hockey Legend. Tri-District (3D) Charity Hockey Tournament that involves grades four to twelve students in the Peace Wapiti Catholic and Public Schools and serving as a founding committee member on the GP Legends of Hockey Project. Henning, like the Bessent name traces an unbroken line for three generations (over seventy five years) including Cam’s Grandfather Leonard, and his Father Max who has passed the torch to Cam who has now replaced him on the GP Legends of Hockey Committee. Each one has left indelible marks on the game. Cam played every level of hockey in Grande Prairie: all minor categories, from Peewee to the Junior Athletics. He was an elite player winning the Leagues scoring title as a juvenile in 1967/68. Cam played for the Ponoka Stampeders of the AJHL in 1968-69. Back home in Grande Prairie he joined the Athletics where, at age 17 he distinguished himself as MVP in the SPHL in 1967/68. Playing with the Sexsmith Generals in the Beaver Hockey League Cam was recognized as MVP and one of the best defensemen in the League. Cam continues to play hockey as an old-timer with membership in the Canadian Adult Recreational Hockey Association CARHA formerly knowns as the Canadian Oldtimer’s Hockey Association(COHA). As a GP Pentstar he was a member of the team that won gold in the 2000 World Cup and along with former Oil King, Ross Perkins he played with the Edmonton Old-timers. As noted above he has replaced his Father as a GP Hockey Legend Committee Member. In that capacity he joins Stan Neufeld who states “As a teamate playing with the Athletics he was was one of the best defence partners one could hope for.” (Stan Neufeld). Hockey is just one of John’s many passions. His contributions in the fields of Health, Education, Business and Recreation are noteworthy locally and at the Provincial level and would be impossible except for his creativity, boundless energy and hyperactive temperament. He was born and raised in Grande Prairie where for twenty five years he played minor and senior recreational hockey beginning in 1972 – for the most part as a goal tender. The Midget team on which he played won the Provincial Midget AA champion in 1980. Playing with Sexsmith he was CPHL player in 1991. Periodically from 1976 until 2010 he has served as a referee. His highlight as a referee was officiating Oiler exhibition hockey as a Junior Hockey Official. John coached minor hockey from 1998 to 2004. He was largely responsible for obtaining the grant that launched the GP Legends of Hockey Project and is one of its founding members. He developed the rubric system that must be passed to qualify as a GP Hockey Legend. As a professional engineer John owns and operates a highly successful engineering firm. Marty is a distinguished High School Mathematics Educator. He is in his twenty-seventh year as a teacher and includes being nominated for a Provincial Excellence In Teaching Award. Apart from his stint at the University Of Alberta where he obtained his degree in Education Marty has lived in the Peace River Country all of his life. Judging from his credentials and experience Marty could have become a career referee in hockey. He has an extensive and extraordinary thirty-three year record as a referee. He was selected “Official of the Year” at the Northwest Alberta Sport Excellence Awards in 2014 and in 2010 Hockey Alberta awarded him the “Ernie Boruk Award”. He is past Chairman of the Peace Zone Referees and Past President of Grande Prairie’s Referee Association. Highlights of his avocation include officiating in the World Jr Pre Tournament Games (1994) and an Exhibition game between Canada and Russia. Additional refereeing assignments include the Viking Cup, the Alberta Senior AAA Finals, the MacKenzie Cup, the Provincial Senior AA Gold Medal Games, the Provincial JR B Gold Medal Game and numerous appearances in the NPHL, the JR B Final Series, the AJHL Regular Season and Playoff games. One may be assured as a member of the legends Committee no infractions escape Marty’s attention. In addition to the physical location of a home base the Legends project also takes pride in featuring a virtual home. The GP Hockey Legends web site is the Project’s flagship: the vehicle that captures, shares and stores the entire collection of stories, biographies, historical research and photographs. Stan is the only member of the team living in Grande Prairie. For close to thirty years he taught Physical Education in the Grande Prairie School District. Prior to attending the University of Alberta where he obtained his teaching credentials with distinction Stan was a Sports Reporter, first with the Herald Tribune and later with the Edmonton Journal. Stan has an extensive hockey resume that started and continues in Grande Prairie. He learned to skate on a backyard rink and was among the many young people of his era who signed up to play hockey on the Bear Creek Flats in the minor hockey program developed by Roy Peterson. As a junior he became Detroit Red Wing property when he was invited to play for the Edmonton Oil Kings but declined the offer having made plans to return home, pursue a journalism career and later to attend University. 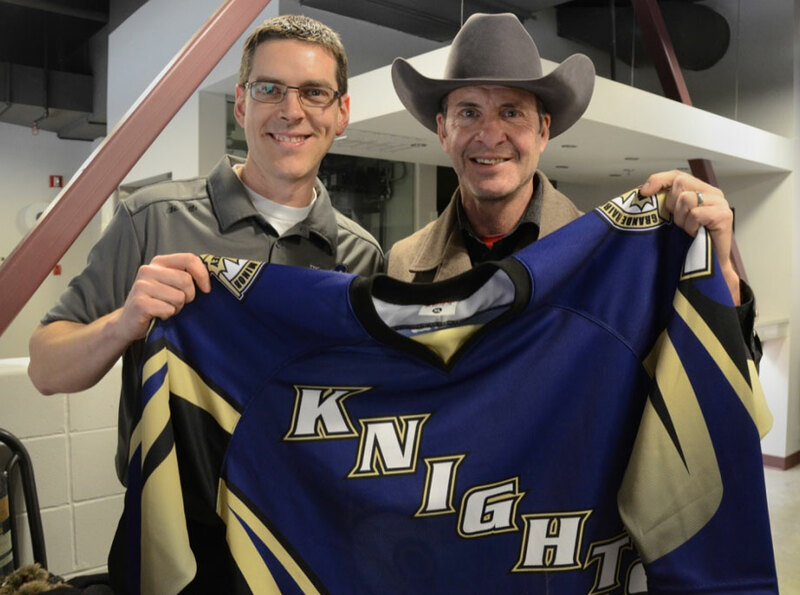 Starting with minor hockey he moved up the ranks to Knights of Columbus, Juvenile and later two decades with the Athletics in the SPHL with the likes of Pete Wright. Stan is the founding Project Director, Committee Chairperson, Project Historian and Writer. Ron grew up in Grande Prairie where he played minor and senior hockey during the post-war years and as an undergraduate at UBC he played for the UBC Thunderbirds. During Ron’s twenty year career in the Faculty of Education at UBC Ron played old timer hockey with the UBC Thunderbirds and the Canuck Old Timers. He retired from Old Timer hockey at age eighty-two following a knee injury. He is currently a resident of Tsawwassen, B.C. and although he has not lived in Grande Prairie for almost sixty years Grande Prairie is “home town”. Ron is a writer. Ian has never been to Grande Prairie. He is an immigrant from New Zealand and lives in Steveston, B.C. Ian comes from a television background in New Zealand and at the University of British Columbia he was Director of Media Services where he pioneered and was an innovator in the use of communication technology in education. 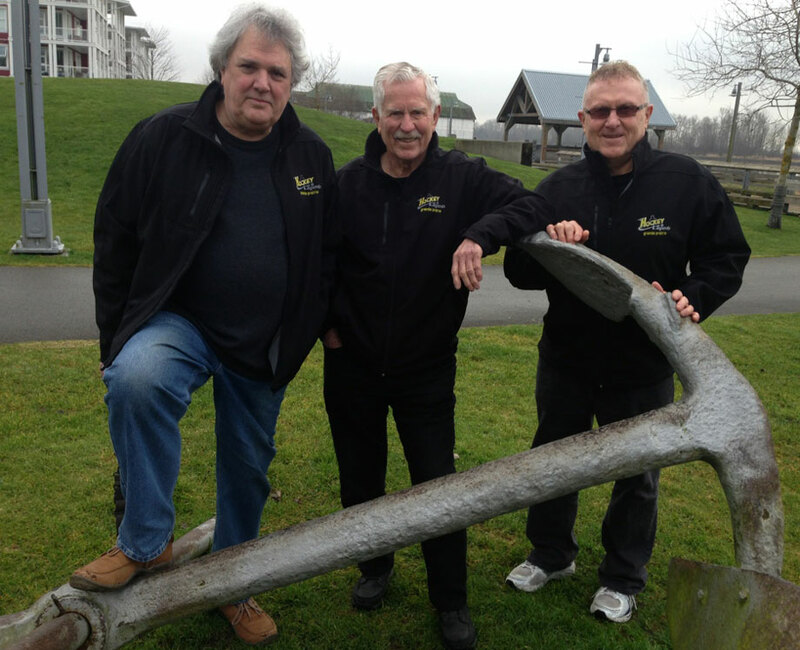 At UBC Ron Neufeld and Ian worked together to deliver educational services to teachers throughout the Province. In spite of needing the help of boards to move from one end of a rink to the other Ian has grown to love our Canadian sport and knows more about the game than some Canadians. Ian created and maintains the website. HOME - a blog characterized by current events and other short, snappy entries of interest to legend fans and adherents. 100 YEARS! - a work in progress that is intended to capture the history of hockey in Grande Prairie from its earliest beginnings (1914). Episode One, (1914 – 1918) and Episode Two, (1918 – 1945) have been completed. 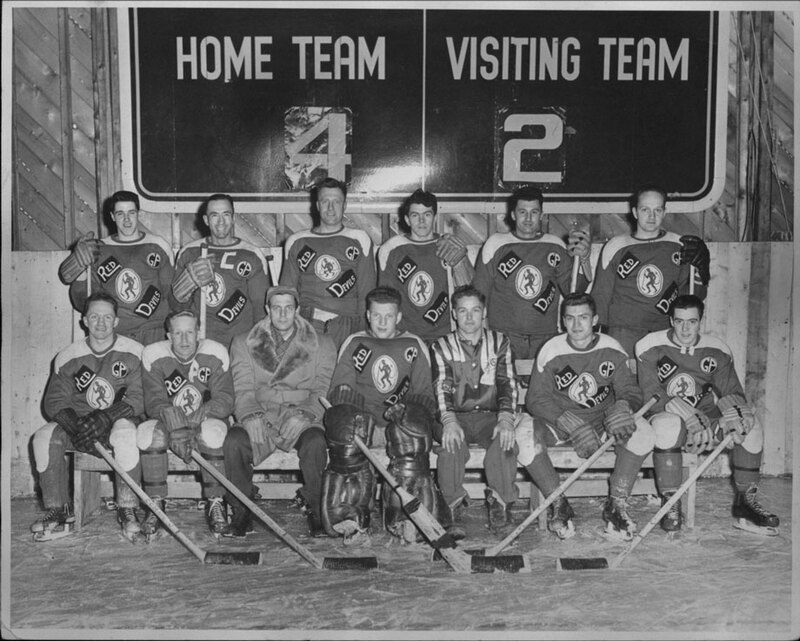 STORIES - stories of special interest such as noteworthy individuals, and memories from the past that constitute Grande Prairie’s hockey history are recounted. LEGENDS - biographies of individuals that have been inducted into the Grande Prairie Legends Hall of Fame are presented. ABOUT - description of the project including brief profiles of the people and mechanisms involved in creating and maintaining the project. CONTACT - A form for emailing the project team. The Legends Project shares website links with the Grande Prairie Storm, the Grande Prairie Athletics, the Grande Prairie Minor Hockey Association and the South Peace Regional Archives. Individuals associated with the GP Legends of Hockey Project are proud to shed light on Grande Prairie’s hockey history. It is a story in the making and will be forever as “The river, like time flows onward.” The details of that history as it is unfolding focuses on Grande Prairie, a community in Northern Alberta. The settings and names may differ but in it’s essence Grande Prairie’s story is played out in communities throughout Canada where hockey is played and where our National sport is celebrated. We welcome contact with other communities and learn about their hockey history. We invite individuals and organizations in other communities to share with us your hockey stories. Gather them up and let them be told.